Mary Carol and Cameron have been working in Sylvania since 1999. Every long weekend and for every vacation they drove the 250 miles from Sheboygan WI (where they lived and worked) to Watersmeet to volunteer their time. 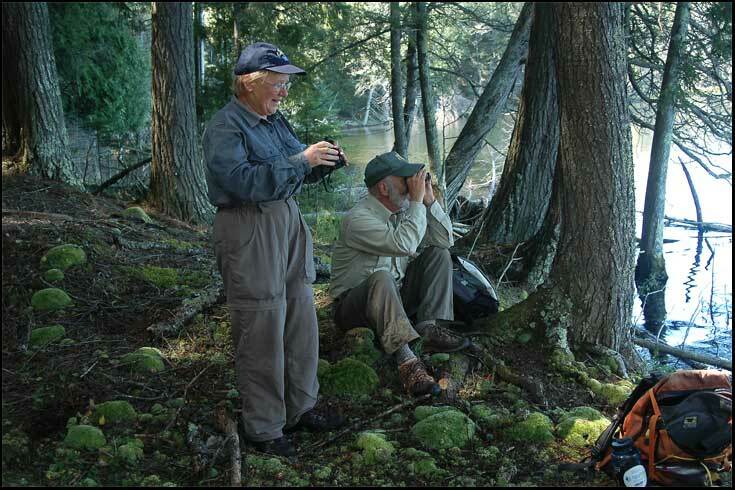 After retiring in 2003, they moved to the Watersmeet area and became full-time Volunteer Wilderness Rangers. Their duties include all the classic ranger elements: checking the conditions of trails and campsites (including latrines and fire pits), visiting with campers, providing information about special regulations that apply in Sylvania, and rescuing people lost in the wilderness. Mary Carol and Cameron have, more recently, turned some of their attention to another aspect of wilderness management: the flora and fauna. They are, for example, doing an annual loon survey and assist a turtle survey project. In winter, instead of relaxing and enjoying the many ski trails in Sylvania, the couple usually travels south, to the Guadalupe Mountains National Park in Texas, to volunteer their time there. 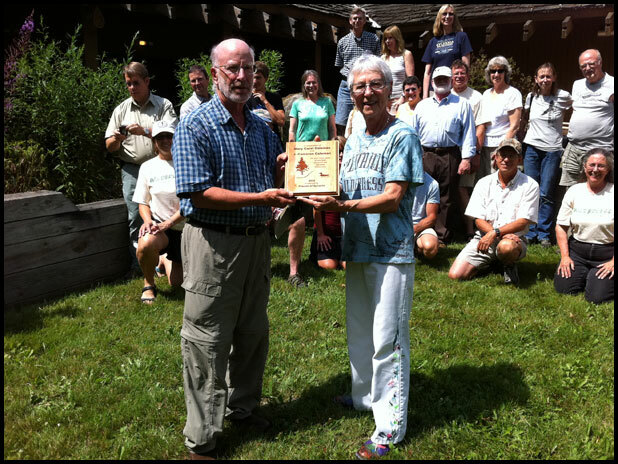 Cameron Coleman being presented with a plaque from the Friends of Sylvania in appreciation of his and Mary Carol Coleman's many years of volunteer work in Sylvania. 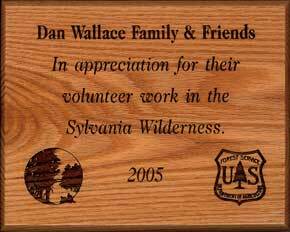 Dan has been leading volunteer groups into the Sylvania Wilderness since 1999. Most of his work is trail and portage clearing. In fact, he and his 'Family of Friends' do most of the clearing in Sylvania for the Ottawa NF. His tools are a bow saw, a crosscut saw, and an ax since mechanized equipment is not permitted in a wilderness area. The use of a 2-person crosscut saw requires appropriate training and certification by the National Forest Service. The Ottawa NF considers his work in Sylvania so valuable that they presented him with a plaque in 2005. 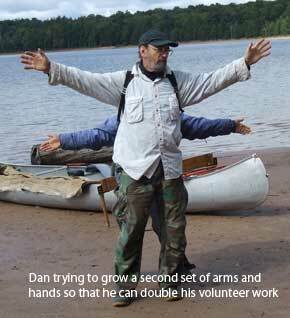 Dan's other passion is the Brooklyn State Wildlife Area just south of Madison, Wisconsin. He and his family of friends are working in this wildlife area several times a week restoring the native vegetation of its prairies, woods, and wetlands. Visit Dan's website to learn more about his volunteer work (click on the Sylvania-Catherine Wolter button).